China Genetics Holdings (CGH) is the holding company that operates a revolutionary, world class, state of art dairy farm just outside of Beijing, China, which is producing the highest quality raw milk in China and comparable to the best internationally. CGH has developed a comprehensive set of dairy farming technology, management methodology and industry know how which are disruptive to the current Chinese dairy industry practices. 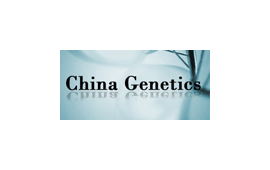 China Genetics Holdings was acquired by Saikexing Co., Ltd.